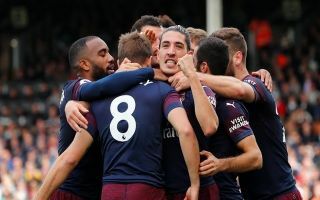 One of Arsenal’s biggest stars has aimed a subtle dig at Gunners fans in regards to the atmosphere at matches, the support at Arsenal come under fire in recent years. Frontman Alexandre Lacazette who joined the club from Lyon last summer, revealed his opinion on the support in England in an interview with French newspaper Le Progres. Arsenal fans have come under fire in recent years for the lack of atmosphere at the Emirates Stadium and also the worrying divide between fans that has emerged since the club found themselves on the decline in recent years. In terms of Premier League success Arsenal have had to play second fiddle to bitter North London rivals Tottenham Hotspur in recent seasons; a wealth of talent has emerged under Spurs boss Mauricio Pochettino. The interview from Lacazette could be a bit of a worry for fans given that the striker is arguably in his best form for the club since joining from Lyon, as it suggests in many ways he misses playing for his old side because of the better atmosphere in France. Lacazette has been in inspired form so far this season netting 4 Premier League goals in only 5 starts. Lacazette has also struck up a deadly strike partnership with fellow marquee signing Pierre-Emerick Aubameyang. Both Lacazette and Aubameyang will be integral for the Gunners if they are to reach their former glory under new manager Unai Emery. You heard the guy, Gooners – make a bit more noise!